Challenging situations require inspired actions and solutions. We strive to form a collaborative relationship with our clients, to understand their product / application needs. It is our task to support and meet those expectations because we believe our clients deserve clarity, transparency and open communication. They enjoy the very best appropriate equipment at the same time meeting budgetary parameters. Battery Technology NZ Ltd has a range of over 3000 models and has the electrochemical knowledge to understand those models to meet the needs of our clients. Consequently, we have a wide range of diverse clientele and includes those working with telecommunications, off grid power bank users, overseas space and aeronautical institutions, national and local Governments all demanding battery technologies utilised in the high temperatures of the Pacific islands to the sub temperatures of the Antarctic. So from a 1934 Morris 8 to the latest Porsche, from Geothermal power stations to telecom sub stations, from solar banks in Fiji to NASA weather monitoring stations in the Antarctic, we have the products and the knowledge to support their projects. 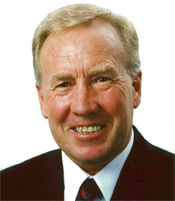 John Dale is the Senior Analyst and Managing Director of Battery Technology NZ Ltd. The founder and CEO of four successful companies in the Automotive, Aviation and Marine industries. 'It takes knowledge in electrochemistry to understand your battery's behavior and electrical knowledge to understand its attributes and application. This is who we are. BatteryDirect.co.nz is the online shop for Battery Technology NZ Ltd.
John's experiences and credentials are listed below. Please do not hesitate to contact John for advice and assistance on the correct battery for your particular use.